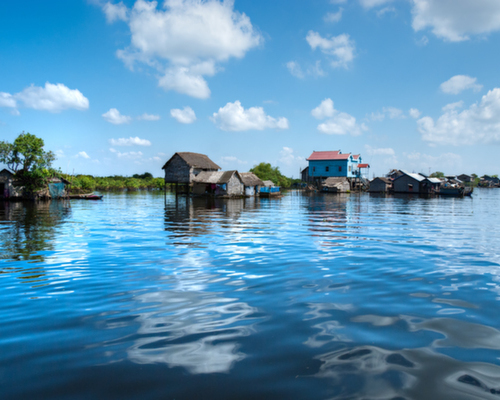 Some of the prettiest and most interesting stretches of the phenomenal Mekong River are within Cambodia, so it is only right to offer you a chance to get under the skin of the country from the water. 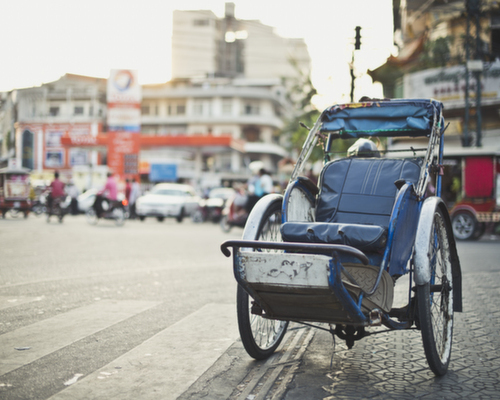 This tour will give you a cultural and historical insight to this fascinating country in Phnom Penh before a 4-night all inclusive cruise down the Mekong as you make your way to Siem Reap. 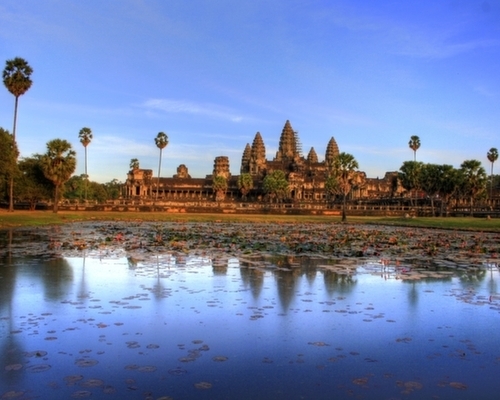 Here you can explore the mighty temples of Angkor. This tour can be done in reverse – please note all excursions apart from the cruise section are private and can be tailor-made to your needs. Day 1 - Welcome to Phnom Penh! 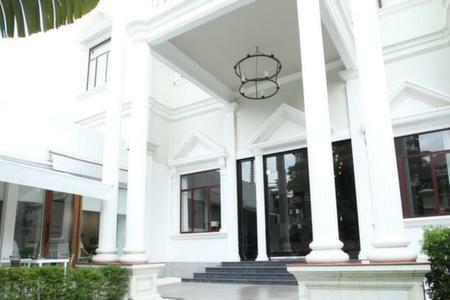 Your private guide and driver will meet you at the airport in Phnom Penh and take you to your hotel, the White Mansion, which is a smart downtown option. We have not planned anything for you tonight but you can relax and explore as you like with our Fleewinter city guide, which has great tips for restaurants. (Deluxe Room, B&B). 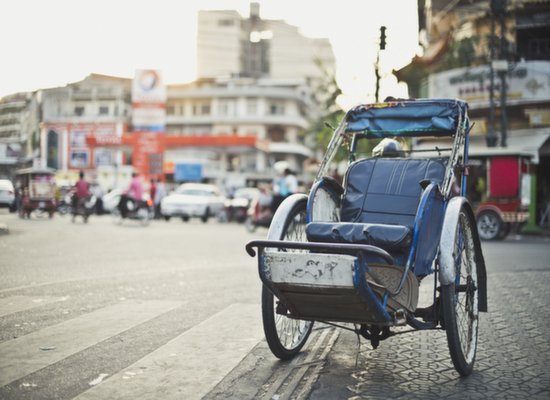 Enjoy a cyclo tour through the heart of Phnom Penh, stopping at the holy site of Wat Phnom, the Royal Palace, the Silver Pagoda and the National Museum. Stop for lunch at Friends Restaurant, which works with under-privileged street children. This afternoon you will visit Tuol Sleng, a school that was used as a prison by the Khmer Rouge, and Choeng Ek, also known as the “killing fields”, where many were left to perish. This excursion may prove distressing; it is however an important piece of Cambodia’s recent past. 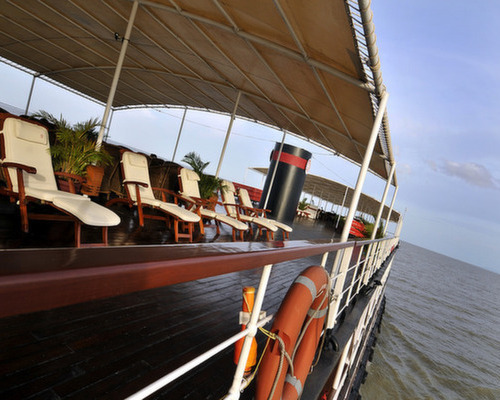 Enjoy this morning at your leisure in Phnom Penh before boarding the Pandaw ship for your four-night Mekong cruise. 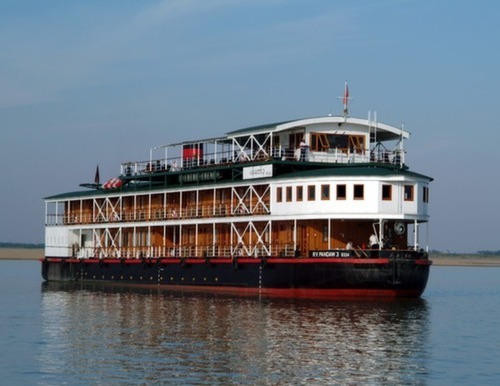 The RV Mekong Pandaw is a smart, traditional style boat with 24 cabins and a spacious sun deck where you can relax and watch the fascinating river life pass you by. Tonight you will enjoy dinner on board. (Cabin on the Main Deck, all-inclusive). This morning you can enjoy a walk around the little-known Chong Koh silk-weaving village before returning to the boat for lunch. 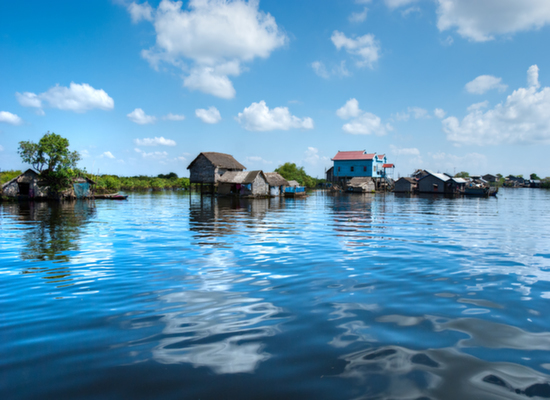 This afternoon you will stop at the Peam Chi Kang village to visit the Wat, monastery and school and visit Kampong Cham, an important provincial capital with French colonial buildings, busting markets and an attractive setting overlooking the Mekong. This morning you will have the chance to visit the hilltop temple of Wat Hanchey and in the afternoon, you will travel by bus to visit the Twin Holy mountains of Phnom Pros and Phnom Srey (Man and Woman Hill). and the eco-tourism village of Choeungkok supported by the French-Cambodian NGO Amica. 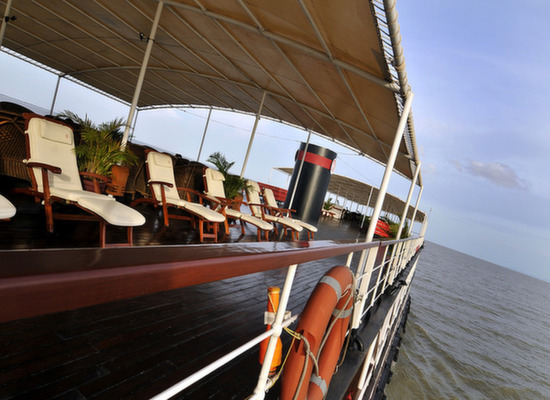 Later you will return to the boat for dinner and can enjoy your evening at leisure. 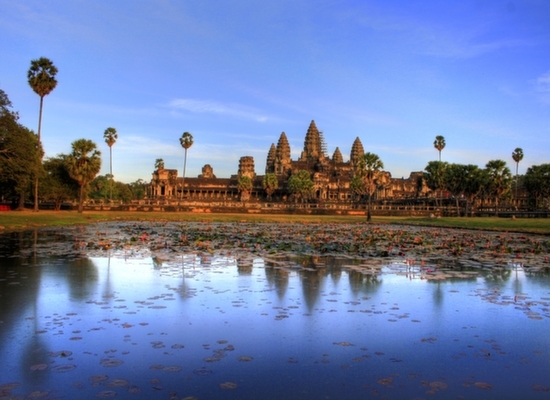 Bid farewell to your cruise companions today as you should reach Siem Reap by the early afternoon. Here your private driver and guide will meet you at the port and drive you to your hotel, the Navutu Dreams, which is outside the main town, which we think is a bonus. 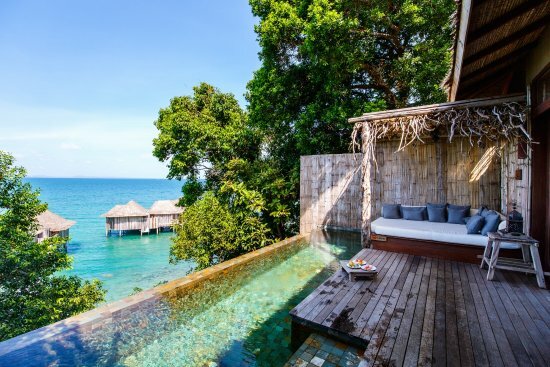 Here you can rest in tropical gardens and laze by the swimming pools – but a tuk-tuk into town only takes 10 minutes. (Explorer Room, B&B). This morning you have the opportunity to rise early to see sunrise over the largest temple in the whole complex; Angkor Wat. After a leisurely breakfast at the hotel, you will visit the fortified city of Angkor Thom as well as Bayon, Baphuon, Phimeanakas, and the Terraces of the Elephants. You will also see Ta Prohm before finishing your day tour with the sunset at Pre Rup Temple – the beautiful rusty-red bricks are accentuated during sunset and stands in brilliant contrast to the lush green of the jungle in the distance. 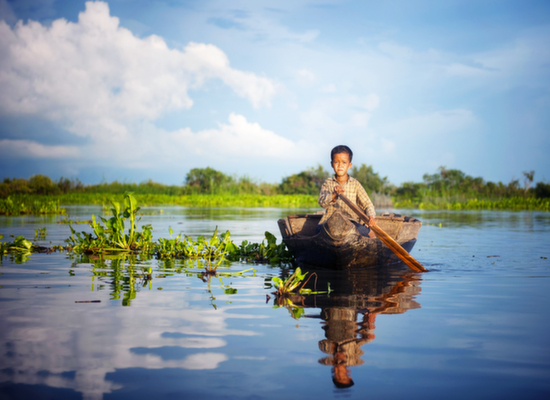 Today you will explore an area in the remote Cambodian countryside seen by few travellers. 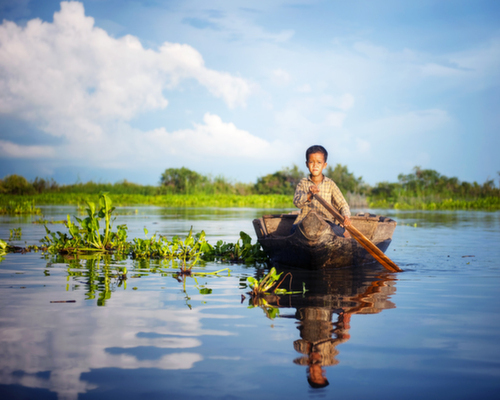 We will take you to meet some local children that are supported by a non-profit Cambodian-Dutch organisation. You will visit a primary school and health centre and have the chance to talk to the children and tell them about life in the UK. You can enjoy a traditional lunch here before visiting Beng Mealea, another seldom-visited ruin and a spectacular jungle temple. 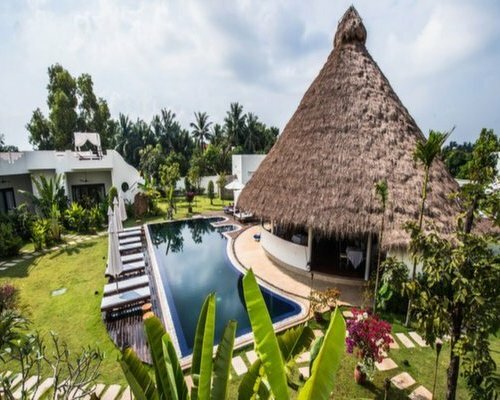 Bid farewell to the lovely staff at Navutu Dreams this morning as we will be sending a driver to the hotel to pick you up and take you to the international airport in Siem Reap. From here you can catch your flight home. Safe travels! This itinerary costs from £2,340 per person B&B based on 2 sharing and including all private transfers but not international flights. 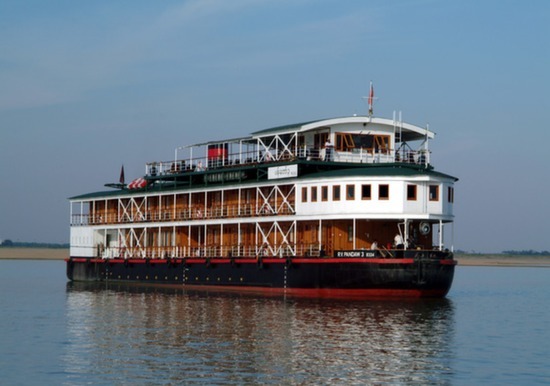 Accommodation on B&B basis except the cruise which is B,L&D with local drinks.